On June 9th, I flew with Air Canada to Winnipeg, Manitoba and knew right off this was going to be a unlucky trip. Arriving at the airport only to find there was no cars available. I waited at the airport for 5 hours and was finally offered a 2011 Mustang. LOLOLOL…I told the clerk, I really didn’t think they wanted me to take this car where I was going. Finally a Mitsubishi RVR 4 x 4, after 7 hours, losing my first day of birding. First I decided to explore the Delata Marsh Area, north of Portage la Prairie, north west of Winnipeg in search of Nelson’s Sharp-tailed Sparrows but was again met with bad luck. The area was being evacuated due to flooding. 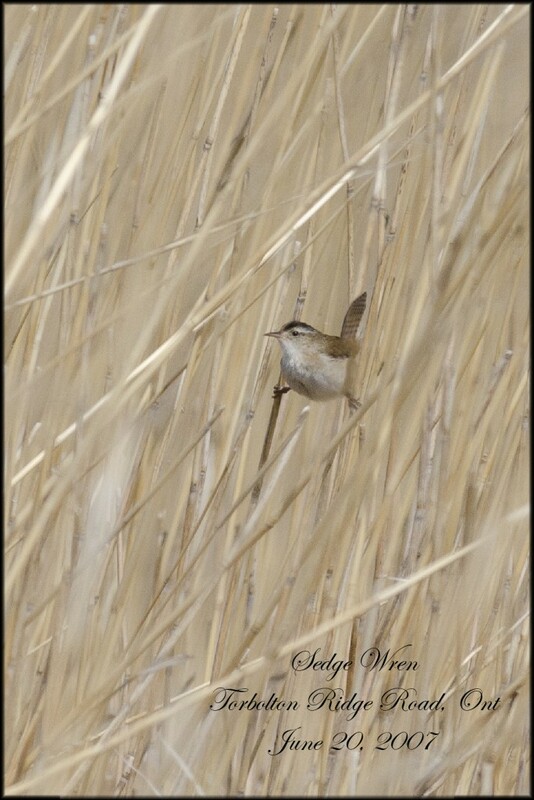 I did manage a lovely image of a Sedge Wren and Yellow-headed Blackbird on the way in, lots of ducks, a bittern and 1 lone Bobolink. Then it was on to Riding Mountain National Park, a gem, located about 45 minutes north of Brandon. 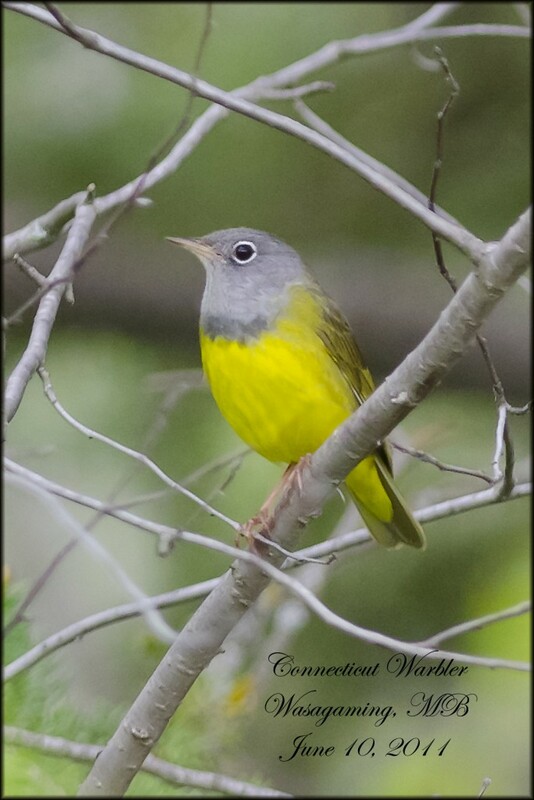 Thanks to Ken Kingdon’s info I was lucky enough to find my grail bird, the Connecticut Warbler. It took a while to find even though I knew the area where to look. Luckily it was singing and I walked right in to its perch. After 7 years, 6 months, 10 days of trying I finally got a good look at this warbler. Down went the binoculars, up went the camera and he was gone….no words can convey my disappointment. Not a sound, nothing just gone. I waited in that spot for 2 hours, set up my blind, the bird never made a peep, then I saw movement back at the same spot where I’d last seen him last. this time, I was ready. Not the best angle, bird was far but I did finally get my photo.